NOTE: This page is about Irukandji Sound in InWorldz. 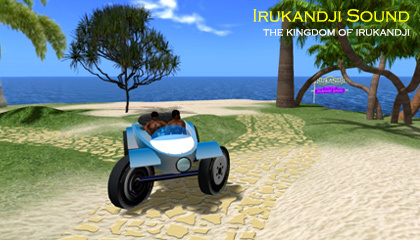 The Second Life version is here: Irukandji Sound in Second Life. 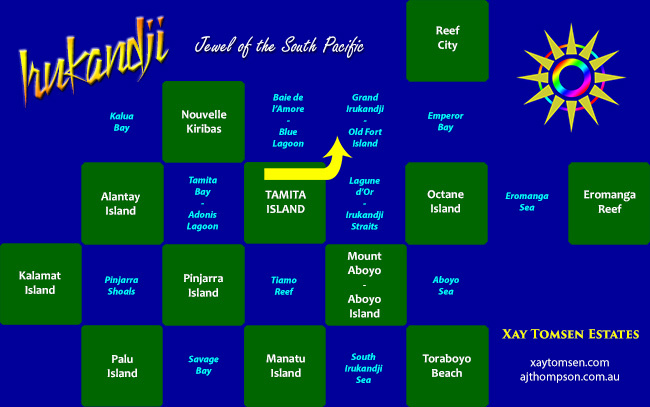 Irukandji Sound on the InWorldz grid was a water sim in northeast Irukandji. Irukandji Sound existed only briefly on the grid as a transitional sim which followed Grand Irukandji and preceded Old Fort Island. All three regions occupied the same grid location at different points in time. Due to this, there is not much history to speak of and few would remember its existence as more than an open water space that abutted the corner of Tamita Island. Despite the sim's name, it bears no connection whatsoever to the earlier Irukandji Sound from 2008 in Second Life. Other regions that adjoined Irukandji Sound were (clockwise from northwest), Blue Lagoon, Octane Island, Lagoon d'Or, and Tamita Island. One photograph survives of Irukandji Sound which was lifted from a video I took of islands. If you would like to explore more of the Irukandji continent, check out the main Islands of Irukandji page.